We are specialized in helping customers develop and implement process control improvements on time and on budget. These panels are widely used for less complex processors in various industries/organization. This economical version replaces relay panels and PLC panels. 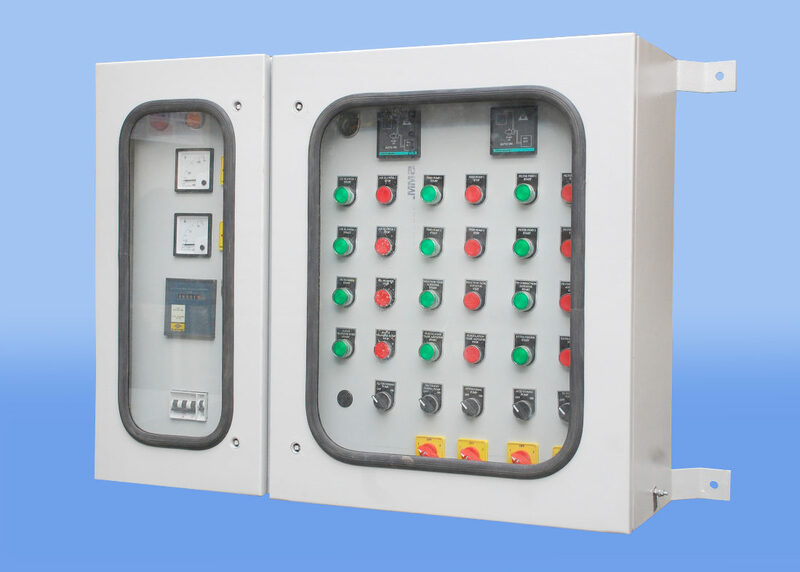 Offering a wide range of PLC panel which is made of high grade quality raw material using advanced technology which ensures the durability and efficient performance of our range. The range caters to the various requirements of electronic and automobile industries. Also, we are providing customized solutions as per the requirements of the clients. Depend on the Client requirement, we suggest the Quality brands from the globe e.g. Siemens, Allan Bradley, etc. Also we provide an efficient after sales support through the strong network of engineers all over India and abroad also. SCADA (Supervisory Control and Data) is a term denoting a computer system for managing data. It is a highly complex system but it is used in a variety of industries owing to its efficiency. We provide our excellent services in installation and commissioning of Supervisory Control and Data Acquisition SCADA) for various industrial manufacturing, production, power generation, fabrication and refining processes.